Our Spanish delicacies like Jamon Serrano Gran Reserva, are a great addition to any meal! Learn more about some of our best-selling products below. Available for the first time in the US. GoGourmet Marketurmets of Spain has partnered with Cortijo de Canata to bring you their delicious Grand Reserva 15 month aged Jamon Serrano. 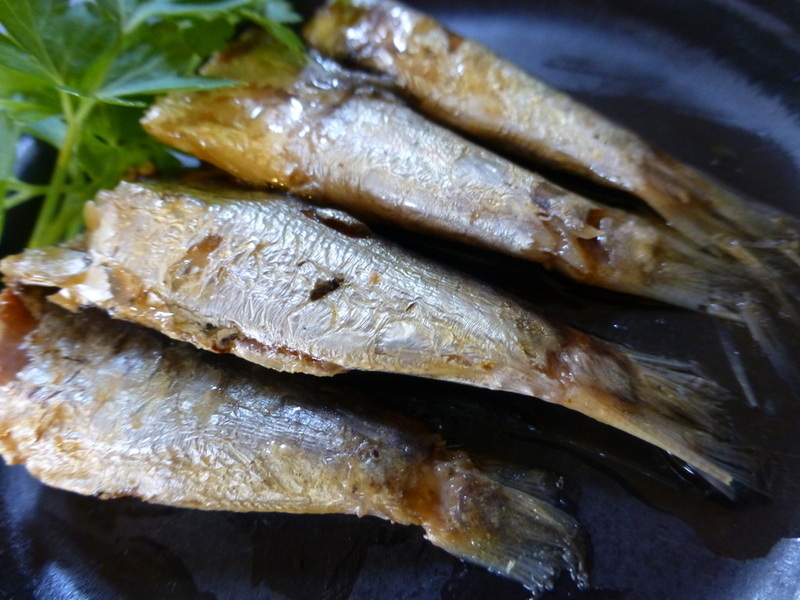 Deliciously smooth and very mildly salted Baby Sardines from the Cantabric Sea prepared in Spanish Olive Oil. Canned seafood offers to the distinguished palate a ready to eat “tapa” at any time or a fine complement to any meal. We are proud to announce the addition of Modena Vinegar from Italy in addition to our Veleta Sherry Vinegar. Much sought after, full flavor Spanish White TunGourmet Marketa (Bonito del Norte) prepared and packed with Spanish Olive Oil. Our White Tuna (Bonito del Norte) has no detectable mercury levels. If you like tuna, you will become addicted to our product! In today’s trend of low carb. diets, tuna and sardines offer a great source of protein with distinct rich flavors. Our tuna and small sardines are mildly salted and packed in Spanish Olive Oil. We are sure you'll find them delicious and a true discovery for the seafood lover. And… one more thing: our White Tuna (Bonito del Norte) has no detectable mercury levels. If you like tuna, you will become addicted to our product! So, go ahead; treat yourself today to some of the most delicate bites of the Spanish cuisine! VELETA products bringing the best of the Spanish cuisine to your table! Deliciously smooth and very mildly salted Baby Sardines from the Cantabric Sea prepared in Spanish Olive Oil. Perfect for a cocktail party hors d’oeuvre or a snack, these delicious small sardines caught off the coast of Cantabria, Spain are named by customers as the best in their class. Enjoy them in a baguette as a sandwich or serve atop of a small endive or cracker. Delicious, right out of the can. A great addition to pasta or salads. The beautiful cans wrapped in a very seaworthy green “net”. Ingredients: baby sardines, olive oil and salt. Shelf Life: 2-3 years – listed on can. Much sought after, full flavor Spanish White Tuna (Bonito del Norte) prepared and packed with Spanish Olive Oil. 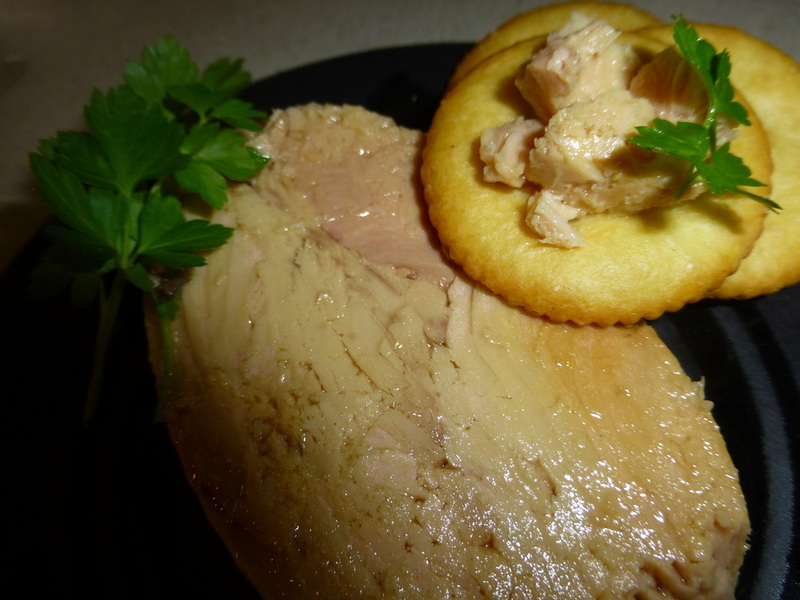 This is a full fillet of tuna lightly salted and packed in Spanish Olive Oil. Delicious in your favorite recipes, in salads, or in a fresh baguette – al a carte or with a slice of tomato, lettuce or your choice of topping. Veleta Tuna comes to the US certified as dolphin safe and fully compliant with US and International regulations of safe fishing practices. If your customers like tuna, they will become “captivated” by this product. Like the sardines, Veleta tuna is fittingly wrapped in a seaworthy green “net”. Ingredients: white tuna fillet, olive oil and salt. ​We are proud to offer to our customers one of the most exquisite vinegar's in the world. Vinegar is the natural oxidation of the wine's alcohol into acetic acid. As a rule any wine left exposed to air will become vinegar. The area of JEREZ (Sherry), in the south west of Spain has been the cradle of a dry, aromatic and elegant wine. The world renowned Sherry wine is the prime product of our vinegar. Our Premium Sherry Vinegar is aged for 6 years in oak casks, the same ones previously used for the storage and aging of Sherry wine. The Solera is a cascading process, where the younger vinegar's are blended with the older ones at yearly intervals, for six years. The vinegar obtained at the end has a uniform harmonious color, fragrance and aroma. Spanish cooking relies on Sherry Vinegar for some of the key dishes form Spain including Gazpacho, Stews, and soups. A touch of our Veleta Sherry Vinegar will enhance any of you favorite dishes or salads. The seal of "Denominacion de Origen" Vinagre de Jerez, Spain guarantees our Veleta Premium Sherry Vinegar. Available for the first time in the US! Gourmets of Spain has partnered with Cortijo de Canata to bring you their delicious Grand Reserva 15 month aged Jamon Serrano. Cortijo de Canata starts with traditional heritage-breed pigs, a cross of Duroc, Landrace or Pietrain breeds. The jamones are handcrafted in the mountainous region of Almeria Spain in the the Filabres at 3000 feet above the sea level. Because of the high altitude and extremely dry climate, the natural process of curing is done by natural and sustainable methods. Cortijo de Canata is owned and operated by in Spain by a father and son team of (“ham masters”) maestros de jamoneros. This ham is produced by strictly adhering to the age-old methods for making Jamon Serrano, developed by the family’s ancestors, adding only the latest high-tech quality controls. The end results of the deliberate care and quality ingredients is a superior-quality ham with a richer and more developed flavor characteristics than the more commonly available 8-12 month aged Serrano hams.